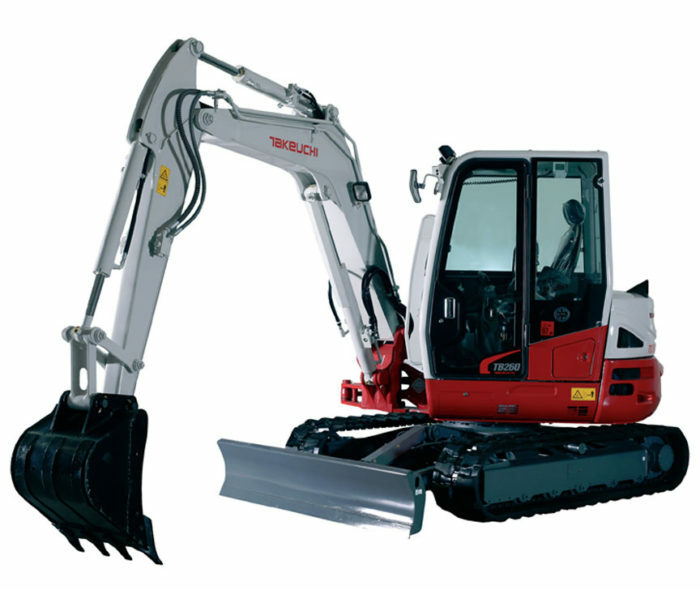 The all new Takeuchi TB260 mini excavator brings a new era of refinement to machines in the 6 tonne class. Modern design with in our opinion the finest operator’s cabin of any machine in the market place. Being the little sister to the already successful Takeuchi TB285 midi excavator, the TB260 provides a cost effective solution to those requiring machine in excess of 5 tonnes in weight. 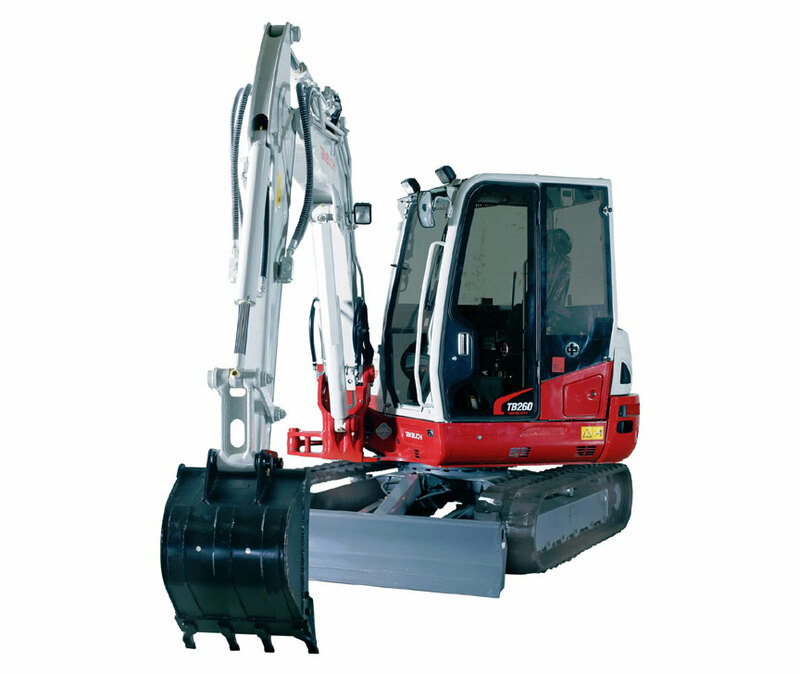 Nimble and agile but the power required for those larger jobs the new Takeuchi TB260 sits “on top of the job”!! Powered by a Yanmar 4TNV84T 33.6kW 4 cylinder diesel engine and controlled by Takeuchi’s now accepted superior hydraulic technology the Takeuchi TB260 is the new kid on the block! !